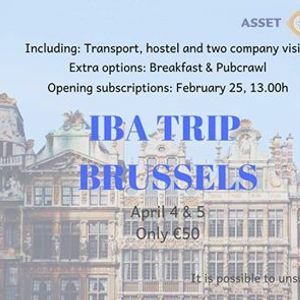 On the 4th and 5th of April, the IBA trip will take place! This year we are going to Brussels. 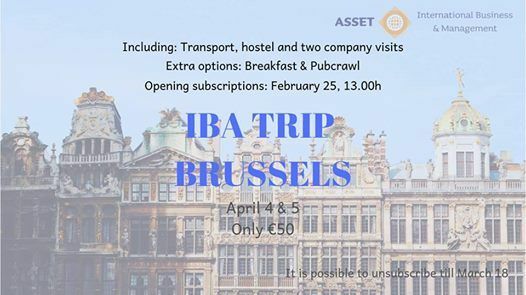 In these two days, we will visit two interesting organizations and explore Brussels during the day and at night. We will go by bus and sleep in a nice hostel. This trip will only cost 50 euros. Subscriptions will open on the 25th of February, 13.00h. There are only limited spots available so make sure to subscribe as quick as possible to be assured of a spot since it is first come first serve.